Photovoltaic power generation system is mainly DC system, about solar power sent to the battery charging, and battery power directly to the load, such as Northwest China to use more solar home lighting system and away from the power supply system of microwave station are the DC system. Such a system is simple, low cost, but because of the different load DC voltage (eg 12V, 24V, 48V, etc. ), it is difficult to achieve standardization and compatibility of systems, particularly civil power, as most of the AC load, the DC power photovoltaic power supply is difficult to enter the market as a commodity. In addition, PV power generation will eventually and network operation, which must be a mature market model, the future exchange of photovoltaic power generation system of photovoltaic power generation will become the mainstream. 1. Requires a high efficiency. 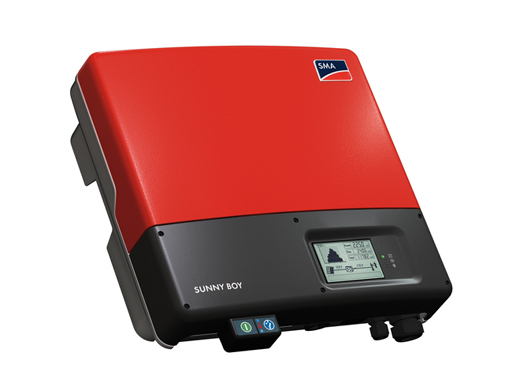 Due to the current high prices of solar cells, in order to maximize the use of solar cells, to improve system efficiency, we must try to increase the efficiency of the inverter. 2. Requires a high reliability. Photovoltaic power generation system is currently mainly used in remote areas, many power plants and maintenance of unattended, which requires the inverter circuit with a reasonable structure, rigorous selection of components and requires the inverter with various protection features such as input DC reverse polarity protection, AC output short circuit protection, overheating and overload protection. 3. DC input voltage required to adapt to a wide range, due to the load terminal voltage of solar cells and changes in sunlight intensity, although the battery voltage has an important role in solar cells, but the battery voltage with the battery residual capacity and internal resistance changes in volatility, especially when the battery terminal voltage when the aging vary widely, such as the 12V battery, the terminal voltage can vary between 10V ~ 16V, which requires a larger inverter to the DC input voltage guaranteed to work within, and to ensure the stability of the AC output voltage. 4. In the middle and large capacity of photovoltaic power generation system, the inverter power output should be low distortion sine wave. This is due in large capacity systems, the use of a square wave power supply, the output will contain more harmonics, harmonic will produce additional losses, many of photovoltaic power generation system load for the communications or instrumentation These devices have high requirements for power quality, among the large capacity of photovoltaic power generation system and network operation, in order to avoid pollution of the public power grid, also called sine wave inverter output current. Inverter into alternating current to direct current, DC voltage, if low, then step through the AC adapter, which are a standard AC voltage and frequency. Inverter for large capacity, due to high DC bus voltage, AC output generally do not need to step-up transformer that is able to 220V, in the medium and small capacity inverter, due to low DC voltage such as 12V, 24V, must be designed to step-up circuit. Medium and small size generally have push-pull inverter inverter circuits, full-bridge inverter circuit and the three high-frequency boost inverter circuit, push-pull circuit, the step-up transformer is connected to the neutral power plug, two power tube alternately, the output by AC power, the power transistor, taking the total to, drive and control circuit is simple, while the transformer leakage inductance has a certain limit the short circuit current, thereby enhancing the reliability of the circuit. The disadvantage is that the transformer utilization is low, less able to drive inductive loads. Full-bridge inverter circuit to overcome the shortcomings of push-pull circuit, adjust the output pulse width of power transistors, the output AC voltage RMS is changed. As the circuit has continued flow loop, even for inductive load, the output voltage waveform will not distortion. The disadvantage is that on the circuit, the next leg of the power transistor is not common ground, it must be special driver circuit, or with isolated power supply. In addition, to prevent the upper and lower leg joint conduction occurs, must be designed to be rear turn off the circuit, which must set the dead time, the circuit structure is more complex.